At the highest level of yachting luxury, you find the distinct 53 Sport Coupe and its fine American craftsmanship married with sensible functionality. After all, even the greatest luxury should serve its purpose. A world-class propulsion system launches this yacht with its rich master stateroom and sprawling levels. Customize your yacht and its entire experience to take you wherever you want to go. Optional equipment includes Seakeeper Gyro Stabilizer, Upgraded Generator and SureShade Awning. The Company offers the details of this vessel in good faith but cannot guarantee or warrant the accuracy of this information nor warrant the condition of the vessel. A buyer should instruct his agents, or his surveyors, to investigate such details as the buyer desires validated. This vessel is offered subject to prior sale, price change, or withdrawal without notice. 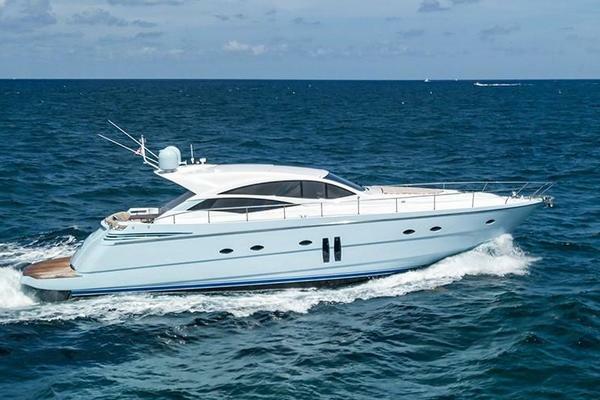 This listing is presented to you courtesy of a member of the International Yacht Brokers Association and may be centrally listed with another broker. It is offered as a convenience by this broker/dealer to its clients and is not intended to convey direct representation of a particular vessel.